Bluebell Bus has been donated by our Gary Chisholm and our friends at Stagecoach! 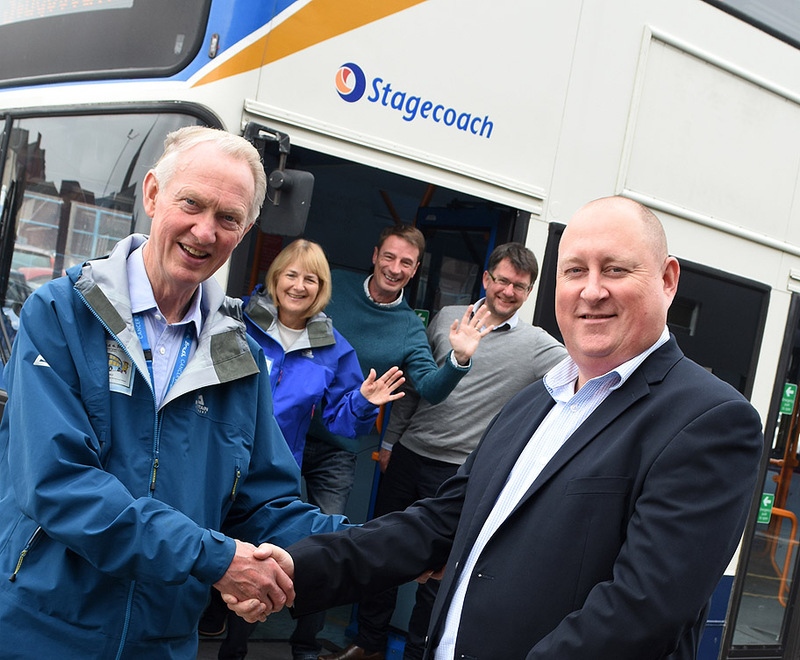 Brian Burnie is delighted to take delivery of Bluebell Bus at Stagecoach Sunderland with Gary Chisholm and the team! It’s all go as Bluebell will now be fully serviced and wrapped in our special graphics. Our friends at Smart Graphics in Glasgow are using the design we’ve been working on to completely cover Bluebell in her striking colours and logo! More photos to come soon!